Last weekend I had my friends over for a girls night. One of my New Years resolutions was to plan a quality hang out with my friends at least once a month. Since the weather in March is a little finicky around here I thought it would be best to plan an event to be held inside. 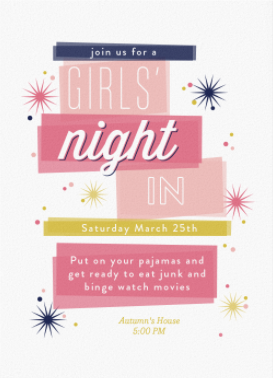 I decided to host a girls movie night. Minted has such cute designs. You can have them printed or send them online. For this small gathering I thought an online invitation would be just fine. I selected the above design and sent them out two weeks in advance. I had a treat table set up with all sorts of goodies. I used a gold sequin tablecloth to had some glam. On the left I had gold tins full of nail polish and face masks for a bit of pampering. I stacked them on top of some magazines I had lying around for a fun touch. In front I placed my polaroid camera so we could document the evening. In the middle I set out some candy for us to snack on throughout the night. In the apothecary jar are Starbursts. To the right Red Vines in milk bottles. In the middle a glass full of Reese's. In front of the candy display I set out the three different types of safe to eat cookie dough I made earlier that week. On the right of the table I set out their favors. We will get to those later. 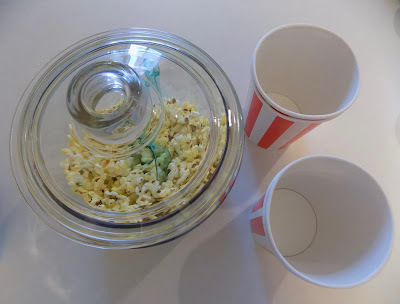 On our counter I set up a popcorn bar. 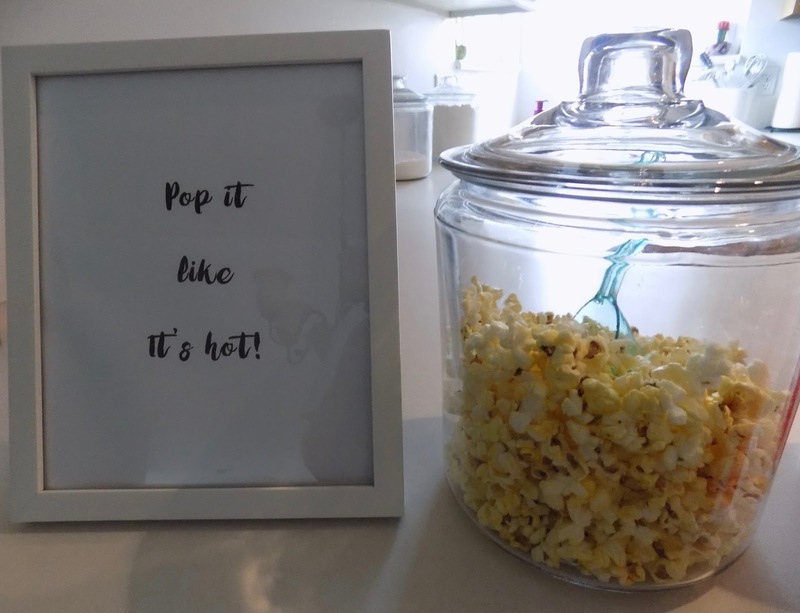 I created the pop it like it's hot sign and displayed it in a white frame. Next to the sign I filled a glass jar with fresh popcorn and a scoop. I placed tall red and white popcorn style cups for my friends to fill. 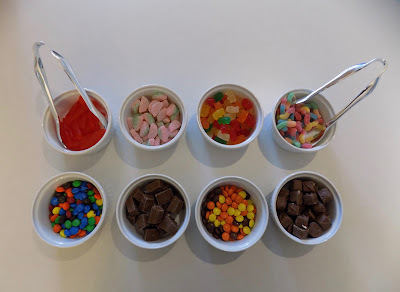 I set out several different types of candy in ramekin dishes for them to mix with their popcorn or enjoy on the side. In the Family Room I placed all of my Chick Flicks in a wire basket so they were easier to access. Between my collection, Netflix, Hulu and Amazon Prime we were set to watch any movie our hearts desired. In the corner I piled up blankets and pillows to use for the binge fest. For the favors I purchased a pair of slippers for each of my friends. I placed a sleep mask in the right slipper and a hair brush in the left. 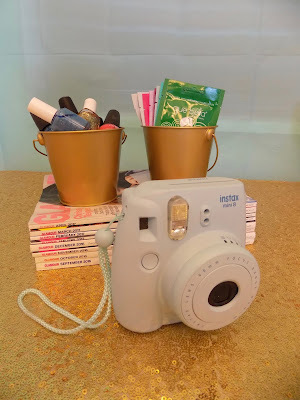 Without knowing it all of the items ended up color coordinating. Once I discovered this I decided to make matching tags with their names. We ate so much food, put on face masks, watched movies and talked the night away.